Mochi is a delicious Japanese treat made from sweet rice flour, sugar, and water. 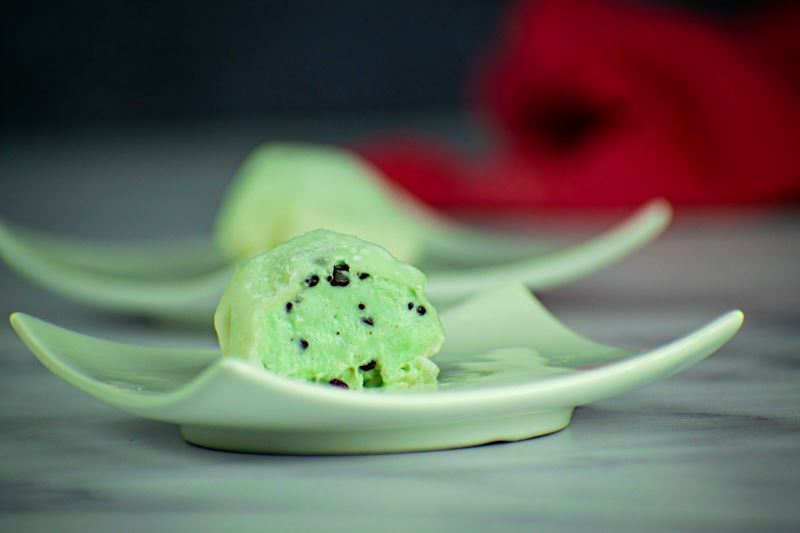 Often compared to ice cream based on its texture, sweetness, and how good it is when chilled, some genius had the bright idea to combine the two and give us the amazing dessert that is mochi ice cream - little balls of ice cream wrapped up in a sweet and sticky layer of mochi. 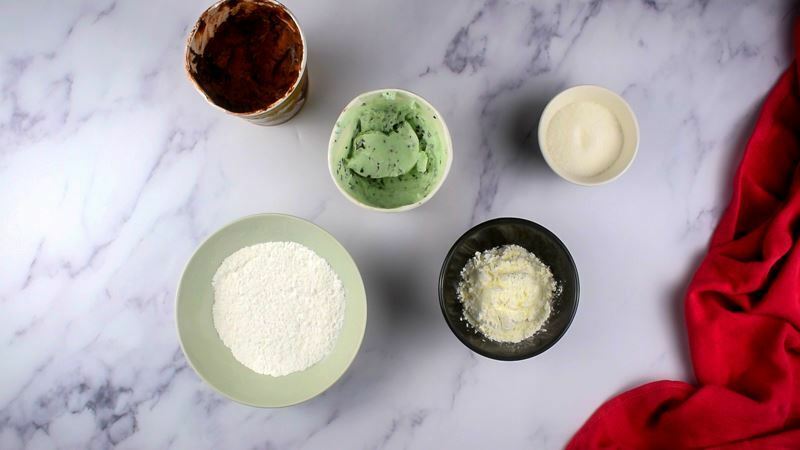 While professionally produced mochi might seem out of reach for anyone not living in Japan, it's actually quite simple to learn how to make mochi ice cream at home with only a few ingredients and supplies. 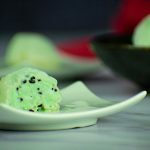 Simply follow this recipe to teach you everything you'll need to create these fabulous frozen mochi balls using your favorite ice cream from scratch. 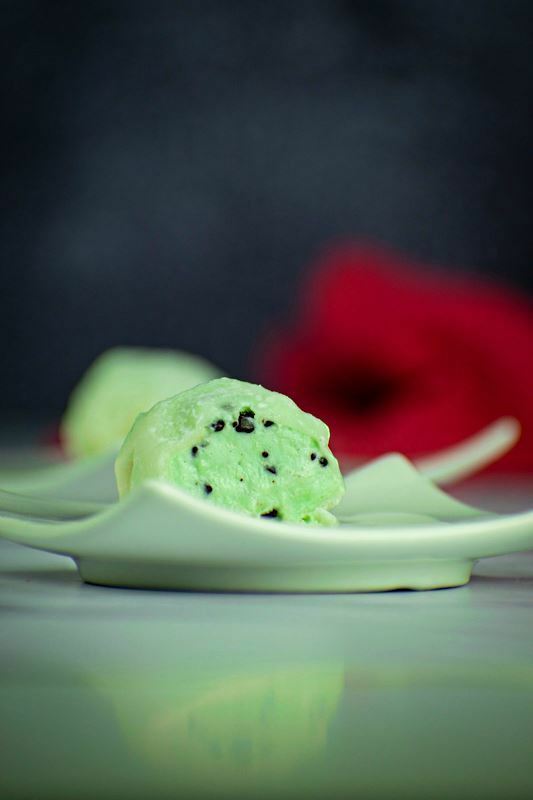 What is Glutinous Rice Flour? 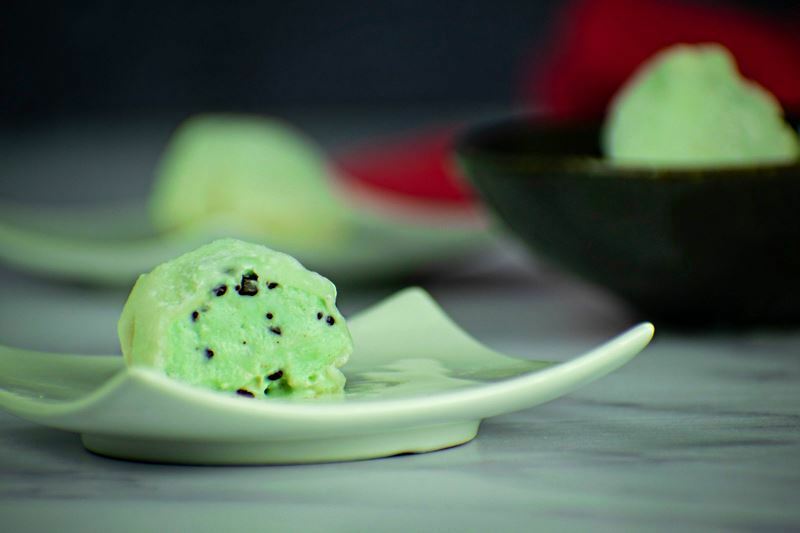 Mochi ice cream is a delightful Japanese confection made with ice cream that is enveloped into a dough in a shape similar to a purse-shaped dumpling! 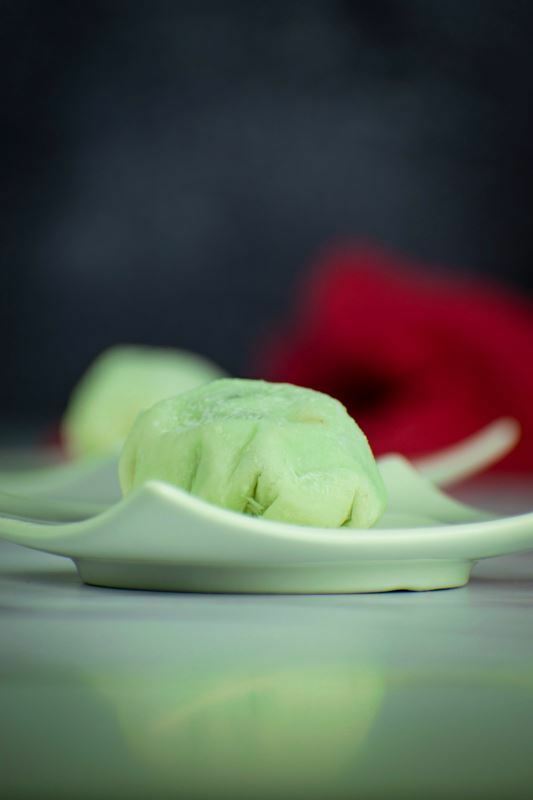 The mochi dough itself is made with glutinous rice flour or 'sweet rice flour'. 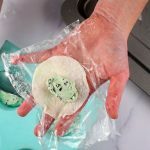 It goes through a process of steaming and then being rolled and cut out into circles to be later filled with a ball of your favorite ice cream; unique and delicious! 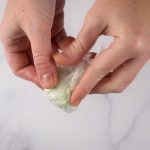 Traditionally, the mochi dough is steamed, but in can also be cooked in the microwave (which is how we will be showing you in this tutorial) or even with a mochi maker. 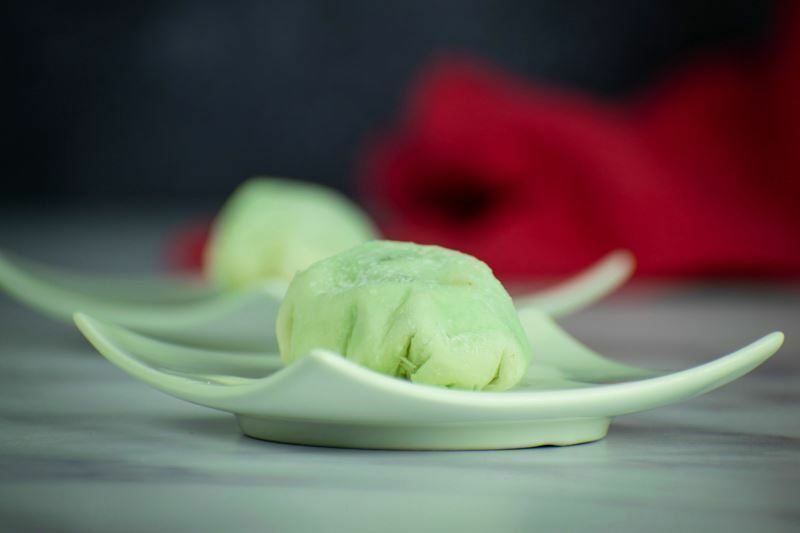 Glutinous rice flour is flour made from 'sweet rice' or 'sticky rice'; the rice that is used in sushi. The word glutinous in its name is pertaining to the stickiness of the rice and is actually gluten free. It is very starchy and therefore works well as a thickening agent for gravies, soups etc. 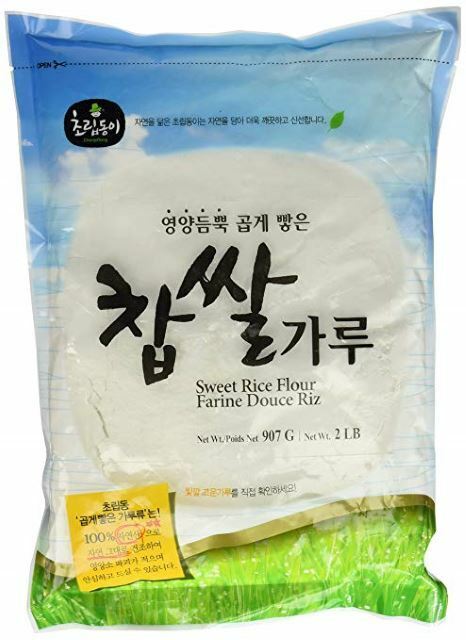 It is not to be confused with regular rice flour, which is made from the common white rice. 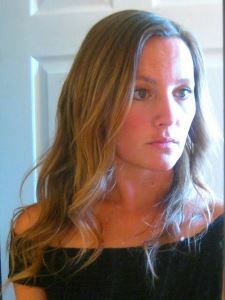 However, It can also be used in gluten-free baking. 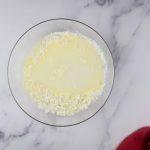 Note: There is a slight difference in ​​glutinous rice flours. 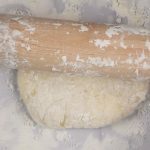 Shiratamako is more expensive but is easier to combine with the water and easier to work with when rolling out the dough. Mochiko is cheaper and more available, but harder to work with. 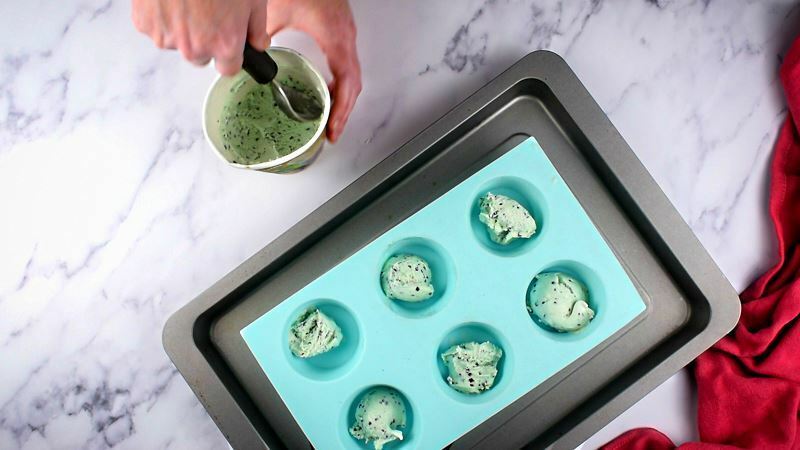 COOKING TIP: Keep the kitchen cool while working with the ice cream. 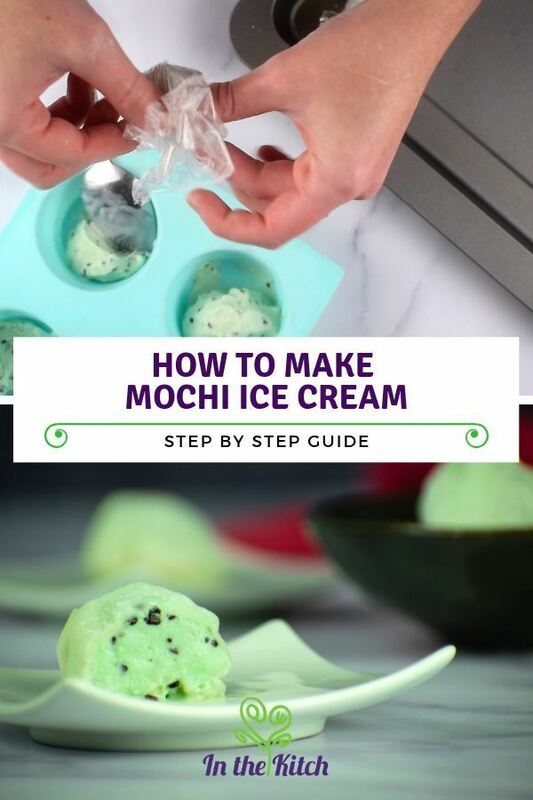 Scoop out the ice cream in smaller portions (you can use an ice cream scoop for this) and freeze it (this will help you work with the ice cream easily when forming the mochi - instead of working with the whole container). Pour the rice flour, sugar and water in a bowl and mix well until it has dissolved completely. 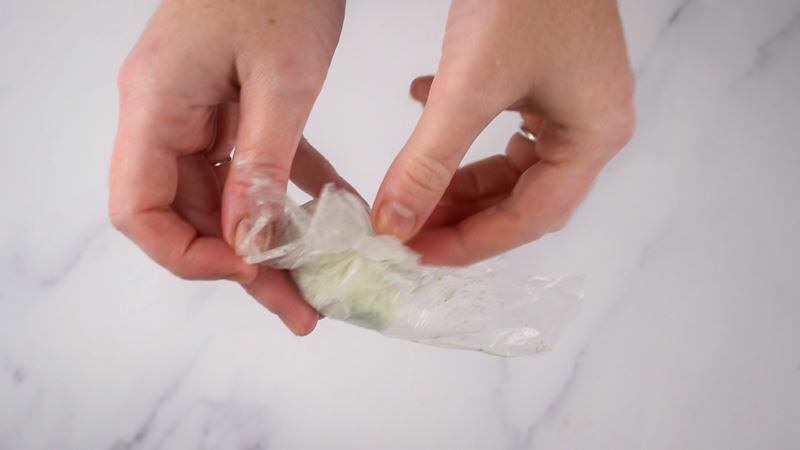 Cover with plastic wrap and heat it on high heat in the microwave for 1 minute. 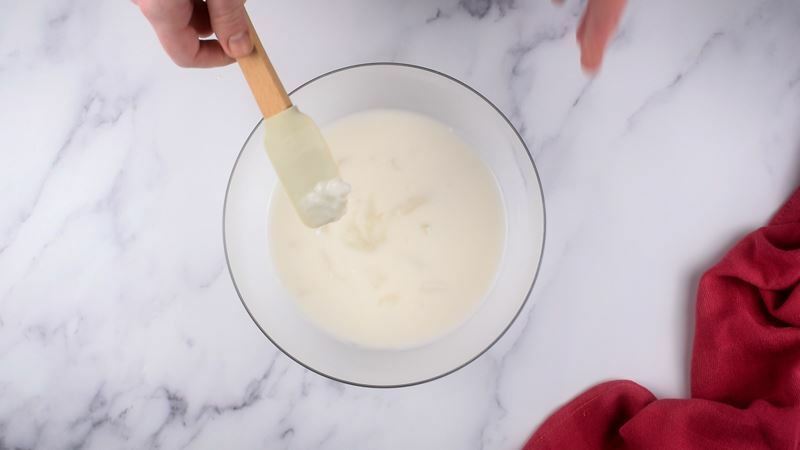 Take it out and stir carefully with a spatula. Cover again and cook for 1 more minute at high heat. Stir again with the spatula and cook for 1 more minute. (Total 3 minutes). 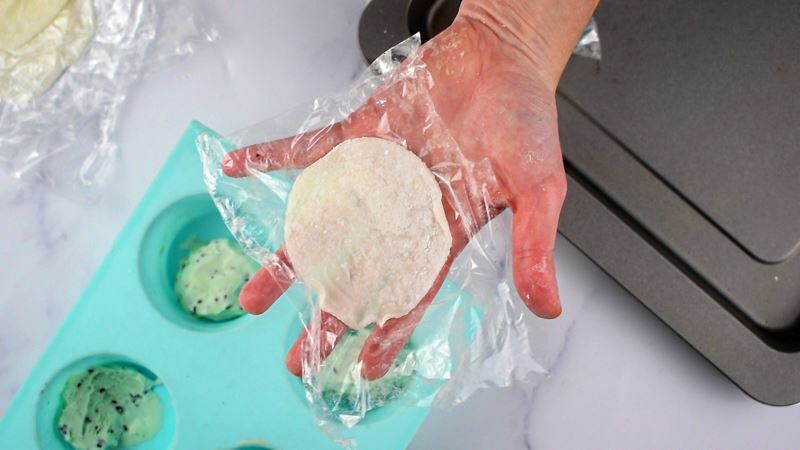 Cover the work surface, and your hands, with corn starch or glutinous rice flour (it should be abundant) and transfer the cooked mochi. 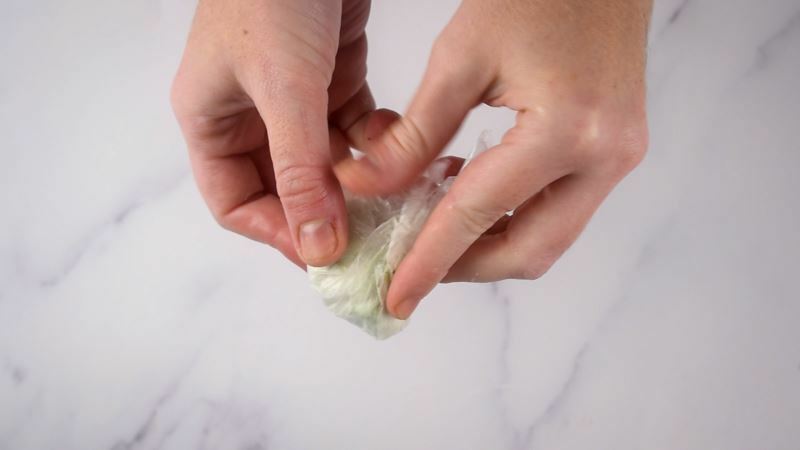 Cover it completely with more corn starch and roll it until flat (about 2 mm thick). 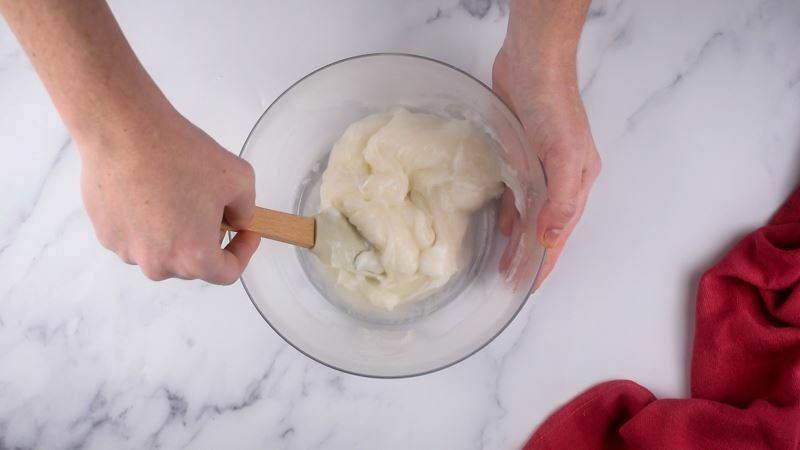 COOKING TIP: Whenever you feel the dough get sticky, add more of the starch. 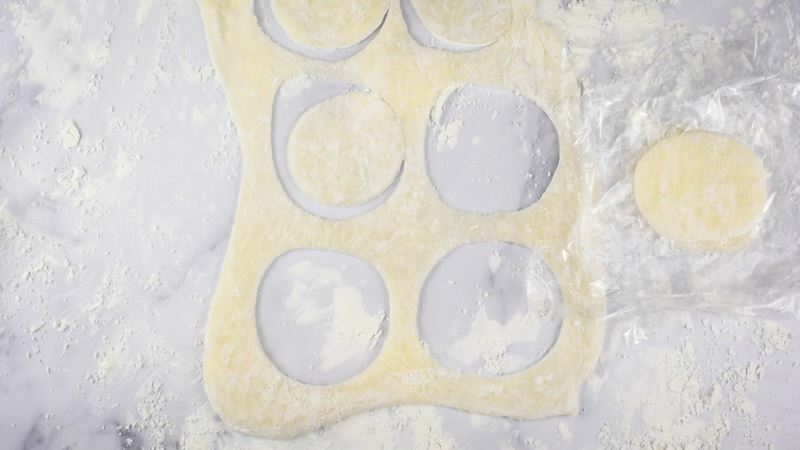 Cut circles out of the dough using a cookie cutter. 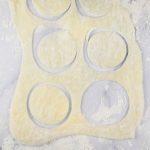 Pile the circles on top of each other, separating them with plastic wrap so they don’t stick (add more cornstarch if needed). You should get approximately 10 circles in total. We used a cutter that had a diameter of 11 cm (4.5 inches). 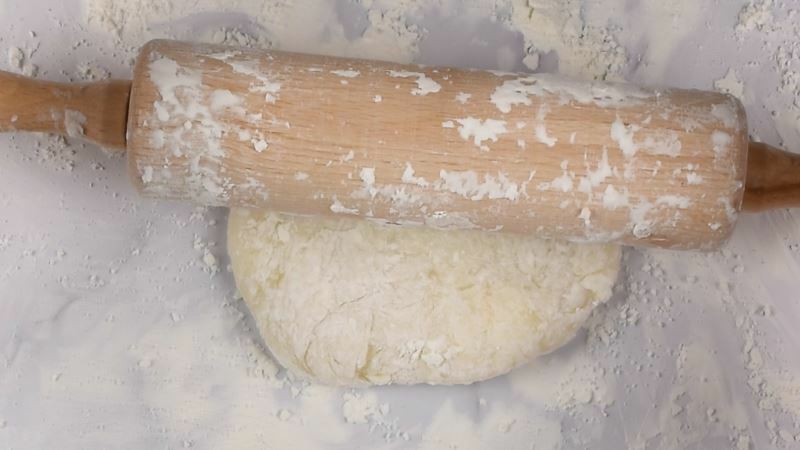 Be prepared to work quickly as mochi dough becomes less flexible and harder to work with the longer it sits. 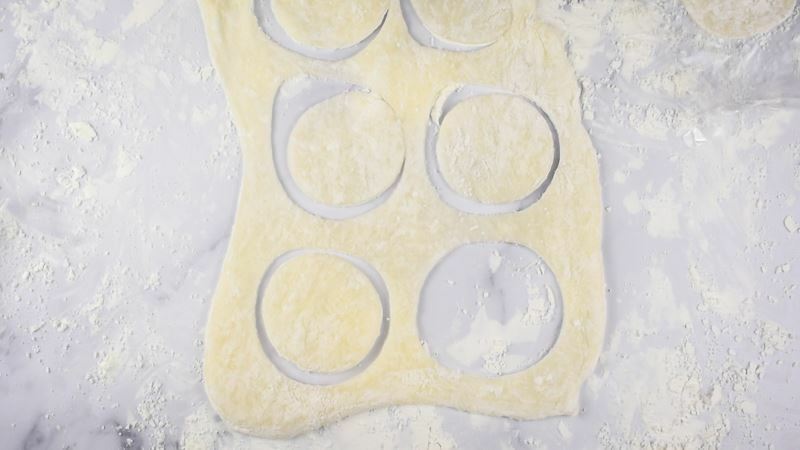 COOKING TIP: You can combine the cut outs and roll them together again to make new circles. 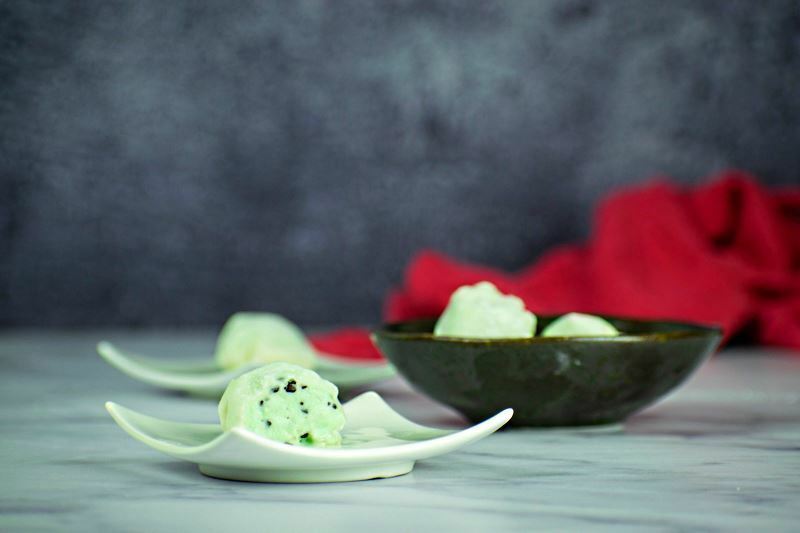 Scoop an ice cream portion out (There isn’t an exact amount. 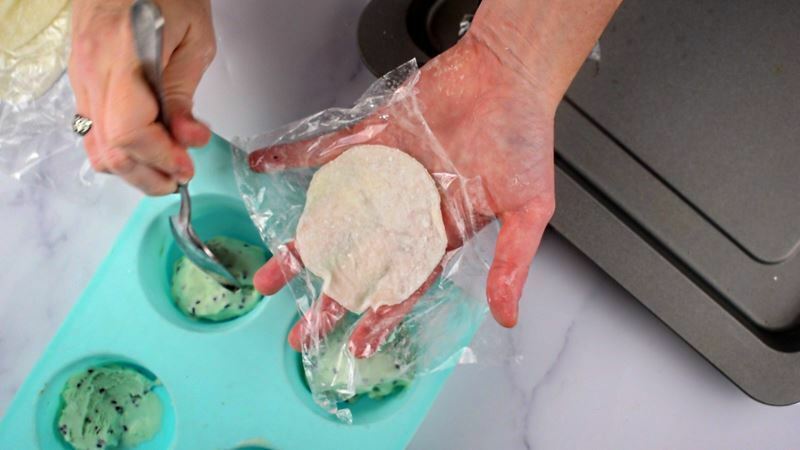 You can use a spoon or cookie scoop to scoop the amount that fits into the mochi dough circle.) and place it over one circle. 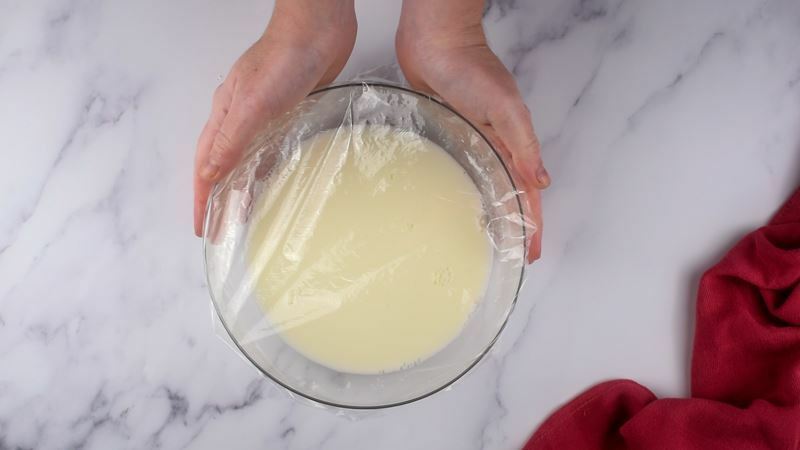 Close the circle with the help of the plastic wrap and place it on a tray. Repeat for the rest of them. 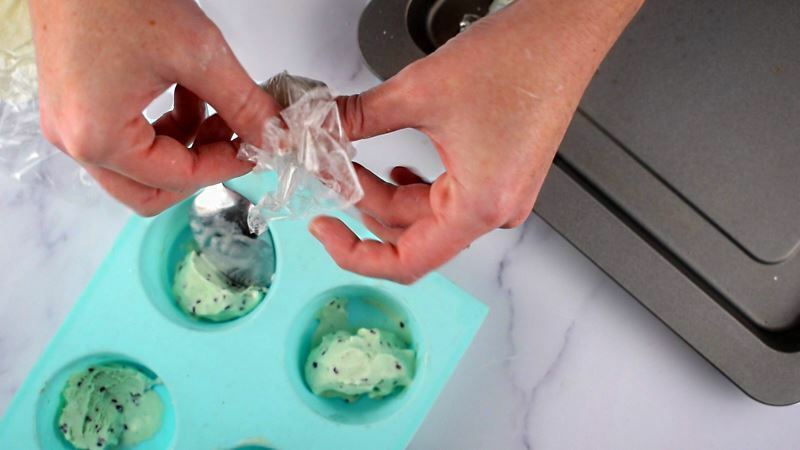 Freeze for 30 more minutes. 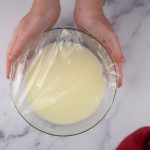 Remove plastic wrap and serve. 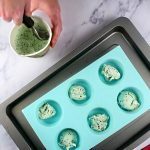 Now you know how to craft fantastic homemade mochi dough and mochi ice cream, perfect for cooling down in the summer when it's hot. 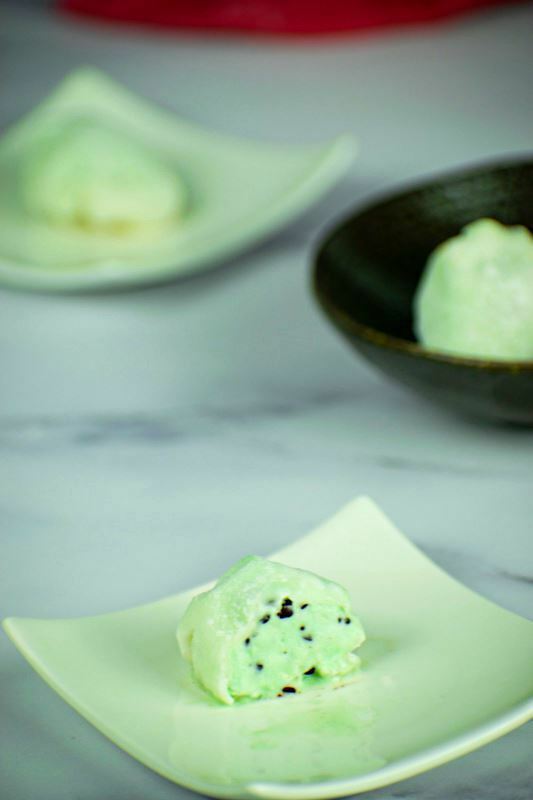 That soft, supple mochi exterior blends perfectly with the creamy and decadent ice cream center resulting in what's sure to become your new favorite dessert. Kids may not find this recipe so easy to help out with, but they will surely enjoy eating it! 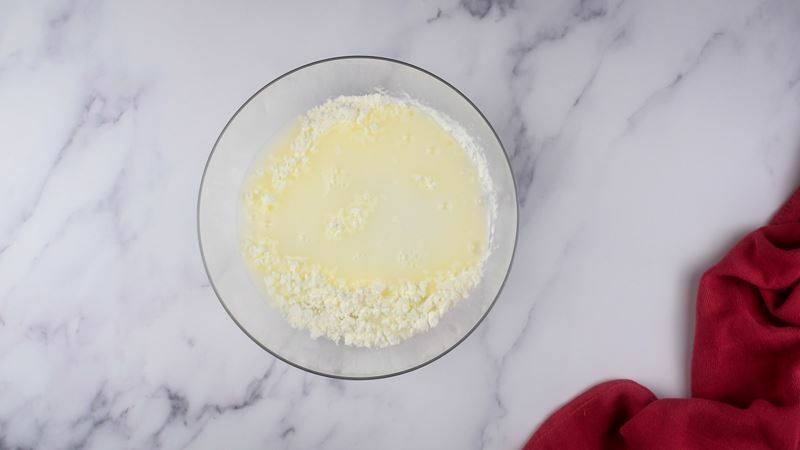 The great thing about this recipe is just how customizable it is, though. 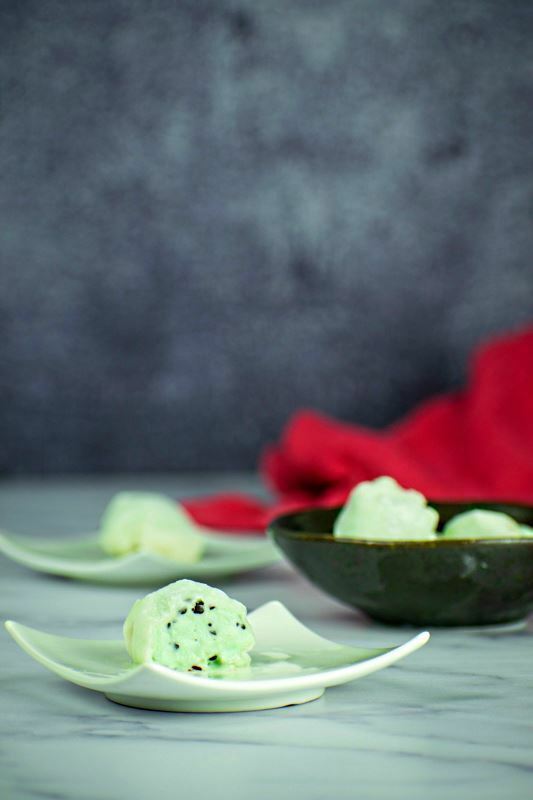 Mochi ice cream flavors are pretty much limitless since you can use any flavor of ice cream you like when you're making them. 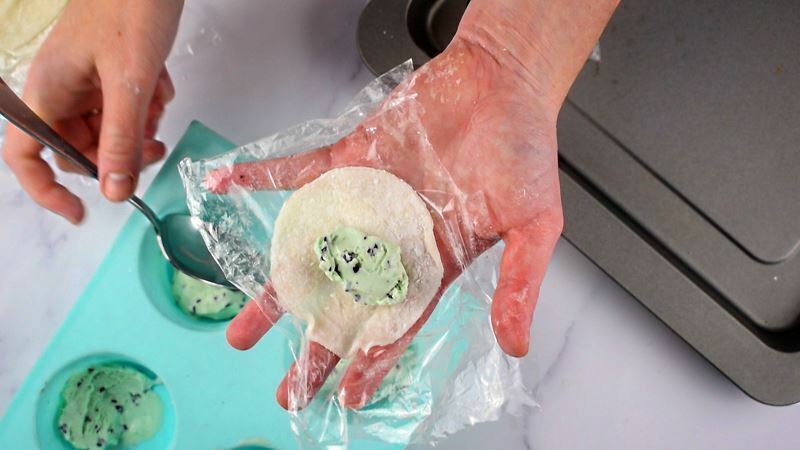 You could also add food coloring to the dough for something a little more vibrant. 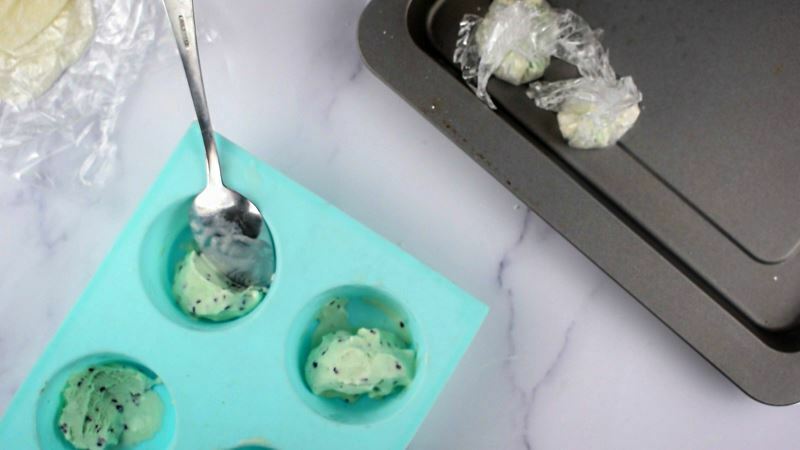 This makes them a simple treat you can create without a fuss, so there's no reason to hesitate when it comes to experimenting. 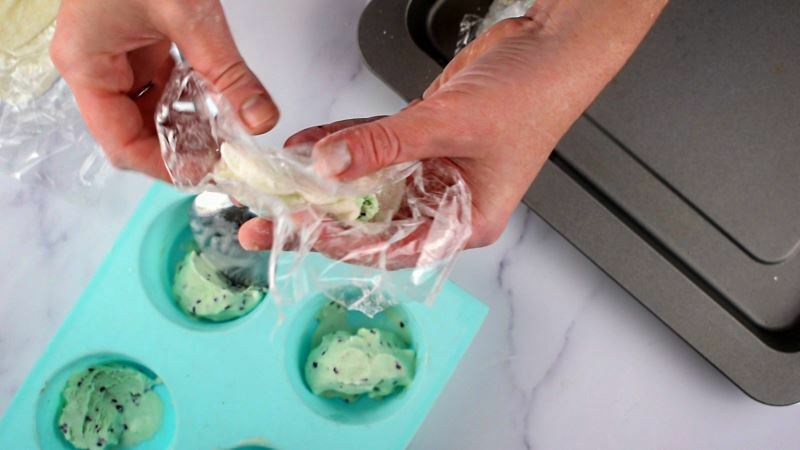 It is possible to buy a mochi maker online. 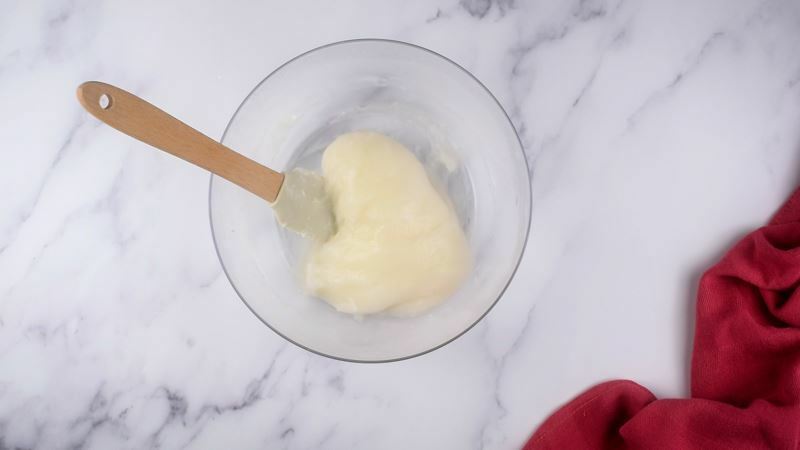 We haven't tested the use of it, therefore we cannot fully recommend using it, but you might find it helpful if mochi is something you will be preparing often.